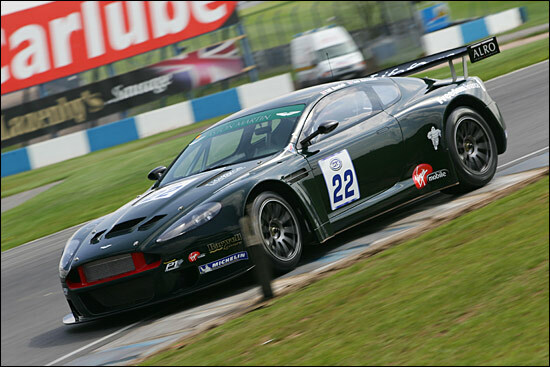 It was a busy day at Donington Park today, and among the cars on track were two Barwell Motorsports Aston Martin DBRS9s. The second one (the team’s third car) didn’t appear until this afternoon though – straight from Prodrive. 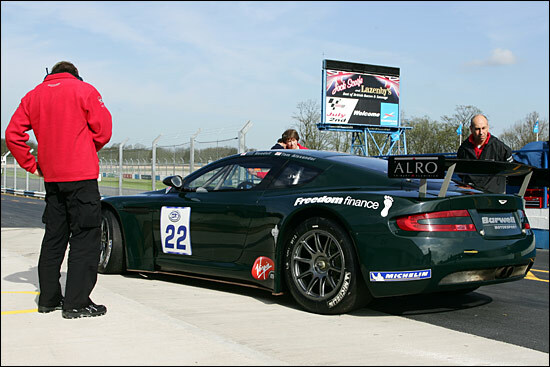 A month ago it was the team’s second car being delivered straight to the track (Silverstone)… at the British GT Media Day. Since then, the first two cars have been testing in Spain, as Chris Needell explains: “We went to Guadix at the end of March, for a week, then we were obviously at Dijon for the FIA GT test. The cars have gone extremely well: we’re delighted with the running that we’ve done and very happy with the cars. This is the extra test prior to official GT3 running next Friday. With so many cars so close on times, Needell is expecting Silverstone next weekend to put on some “mega GT3 racing”. All three Aston Martins will have LifeForce backing this year.